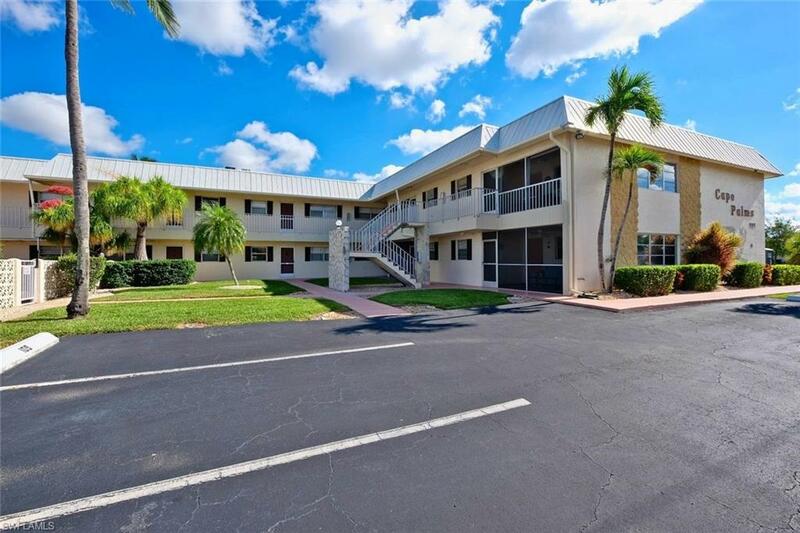 909 SE 46th Ln #214, Cape Coral, FL.| MLS# 218068974 | Southwest Florida Residential Real Estate for Sale. Check out large price reduction. Unit had been used as a very successful winter rental only.Whether its shopping, dining, entertainment or just plain relaxing, this location has it all. Beauty shops, restaurants , bistros, banks, food stores, farmers market etc. are steps away. If secluded, pristine beaches, fishing or shelling are to your liking, your condo is less than 10 minutes from the intercoastal waterway. This unit has been a vacation rental and lightly used. The front lanai which is protected by roll down shutters overlooks the pool, a perfect place for morning coffee and the bedrooms overlook a small park on the water. There is plenty available dockage and a community room. Enjoy Paradise.